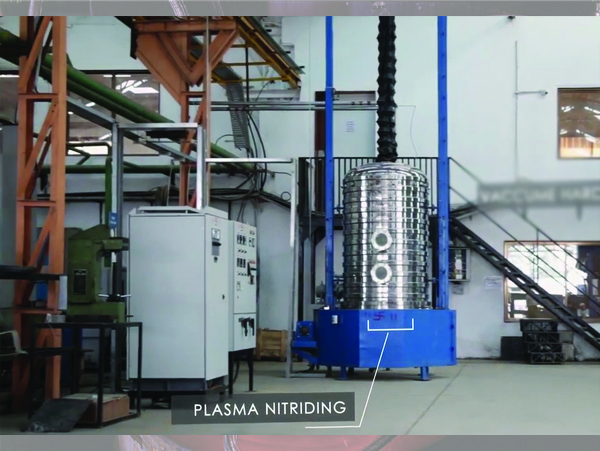 Plasma nitriding, also known as ion nitriding, plasma ion nitriding or glow-discharge nitriding, is an industrial surface hardening treatment for metallic materials. 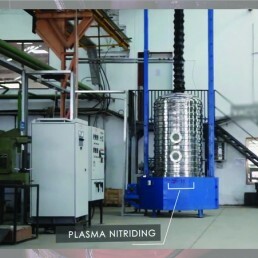 In plasma nitriding, the reactivity of the nitriding media is not due to the temperature but to the gas ionized state. In this technique intense electric fields are used to generate ionized molecules of the gas around the surface to be nitrided. Such highly active gas with ionized molecules is called plasma, naming the technique.